Look on the bright side. Think positive. For me, it comes naturally. When I’m stuck in traffic, I’m glad I’ll have an excuse for why I’m late. And then I hit the “pause” button and asked myself, What must God’s faithfulness look like when I’m not faithful? And then I hung my head in shame. Because faithlessness is punished, not praised. It results in judgment, not blessing. That’s what his faithfulness looks like. What if some were unfaithful? Does their faithlessness nullify the faithfulness of God? By no means! But if our unrighteousness serves to show the righteousness of God, what shall we say? That God is unrighteous to inflict wrath on us? (I speak in a human way.) By no means! For then how could God judge the world? Faithlessness on our part still means faithfulness on God’s. We lie. He is true. We are unrighteous. He is righteous. The end result? We are judged, and God is faithful. My positive thinking had led me to believe that God’s faithfulness would cover my faithlessness. And it does. That cross works many a wonder. 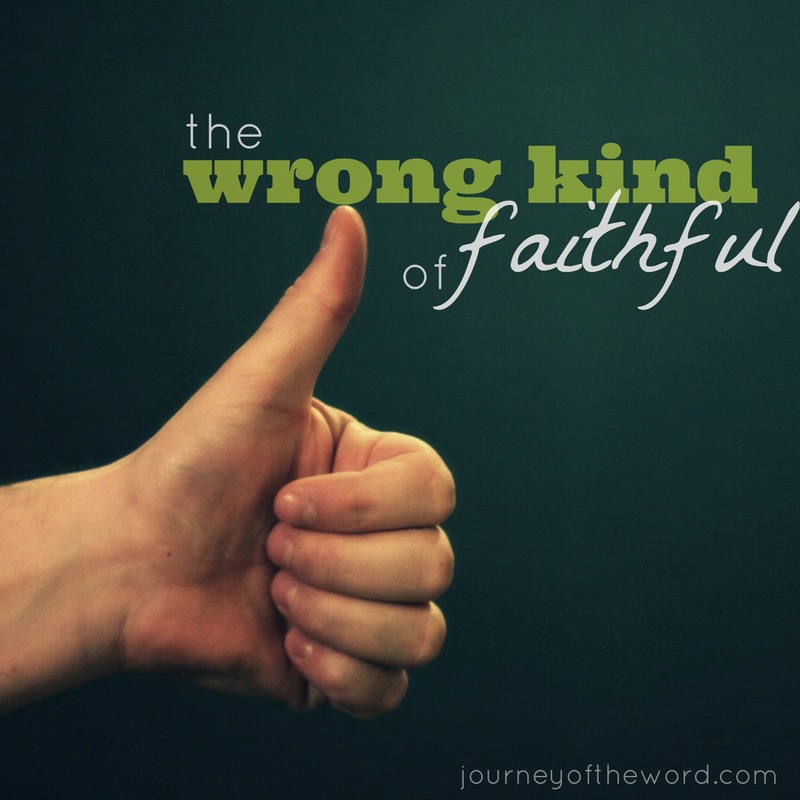 But we’re seeing the wrong kind of faithful if we so easily think God’s faithfulness is always a pretty picture. When God sees sin and he judges it? You just found it. God’s faithfulness. It’s either that or stop being God. Yup, God is faithful not just in keeping us saved but also faithful in being our Father which means faithful to punish us when we need it and faithful on judgement day to reward us according to our works. Do we get a mansion of gold to live in or a pile of ash to sift through? Were we faithful? Either way, God is faithful to reward us accordingly just as He promised! I love this post. God’s righteous judgment is often misunderstood. The book of Hebrews helps us remember that those who aren’t repentant from sin are probably not saved. Tom Schreiner has great way of explaining this issue in his article Perseverance and Assurance: A Survey and a Proposal. Thanks so much for linking up at Mondays @ Soul Survival! Happy 4th! Thanks for sharing this food for thought on the Art of Home-Making Mondays! This is SO true & SO important for us to remember. Thank you for this post.